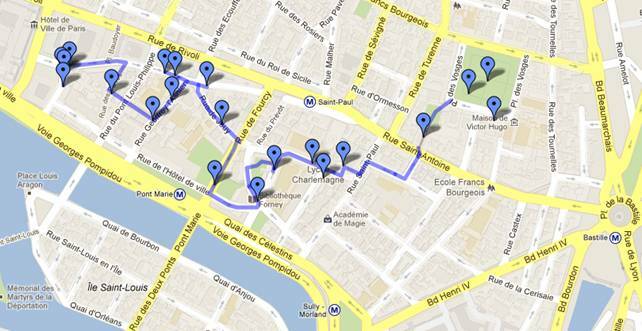 A walk trough the historical center of Paris. 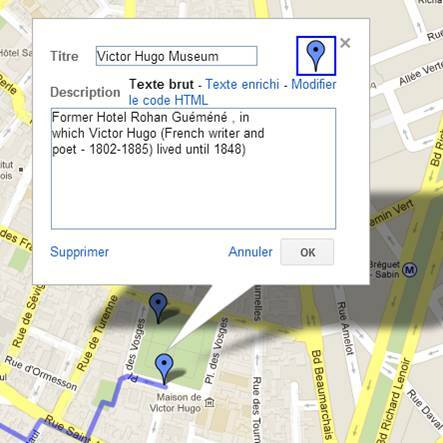 The first step for this historical walk in Paris is : how to create this track and with what tools? 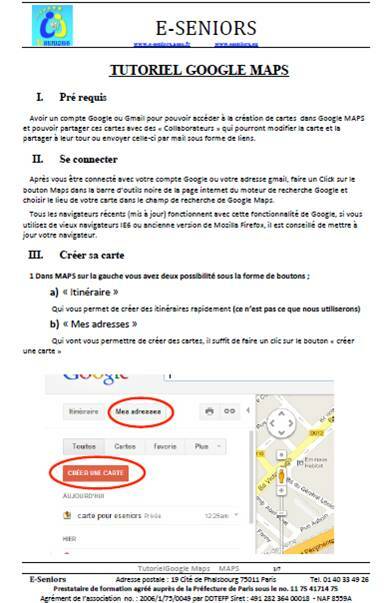 We organized training workshops /curses for seniors to learn the software «GOOGLE MAPS» and his use from a gmail account. 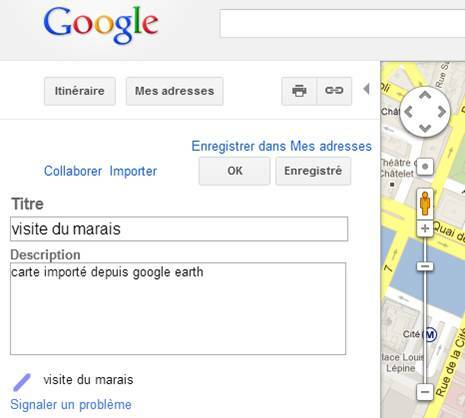 Thus we were able, while logged, to access into «GOOGLE MAPS». 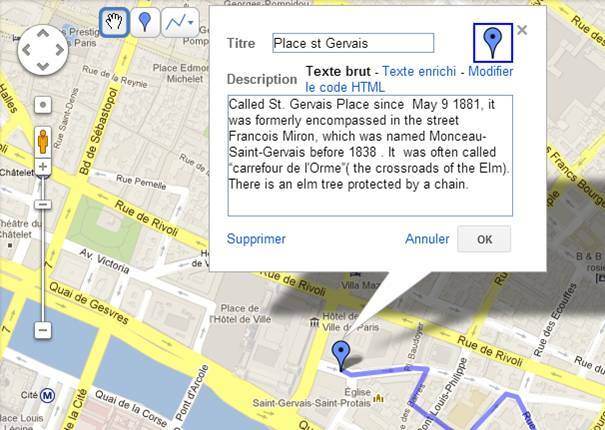 Now the second step was how to find the area we were interested by, i.e. the 4th district of Paris and in particular the map of the “Marais”. In the 12th century, the Templars cleared the marshlands located north of the walls of King Philippe Auguste. From the 16th century, especially after the creation of the Place Royale (Now Place des Vosges ), the aristocracy built large mansions with the building style used between the 16th and the 18th century. The transfer of the royal residence to the Louvre and then Versailles marked the beginning of the decline of the Marais. 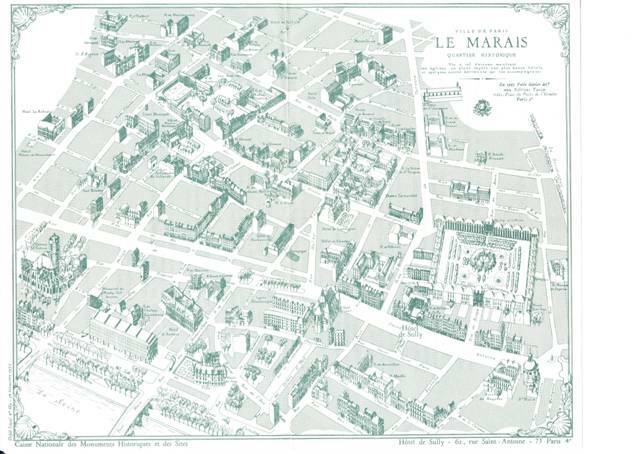 In the 19th century Le Marais became denser by becoming an industrious area devoted to clothes and jewelry. But the buildings are hardly maintained, even mansions are often disfigured by warehouses and workshops. In 1969, André Malraux, Minister of culture, made the first “conservation area”. 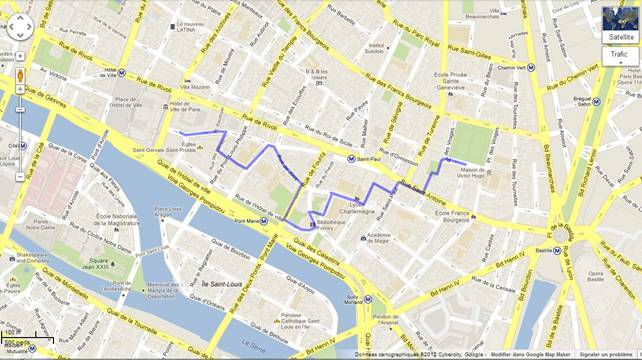 Then, after a brainstorming, we conceived and prepared our circuit in this historic area and we drew the itinerary. 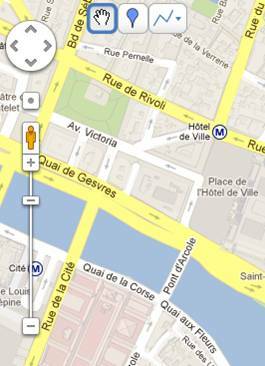 We choose also the starting point (Place St Gervais) and the end point (Place des Vosges). 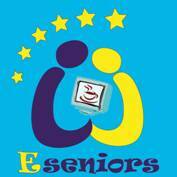 The next step was : how use the 3 buttons in order to indicate the different stops? To indicate a stop we had to click on the second button and to drag it to the place where we intended to make a stop. And how to give a title to this stop? When the mark is intended place we have to click on it , a label appears to be completed. -Hotel de Sens - garden and - Bibliothèque Forney (Built in 1475 by the Archbishop of Sens, from which depended Paris. 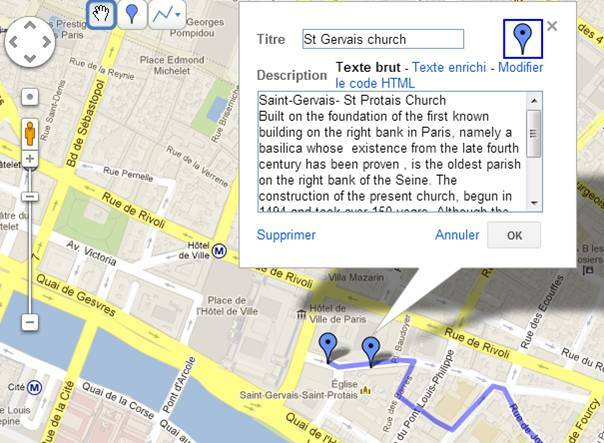 It is the oldest civil Middle Ages building of this magnitude in Paris. 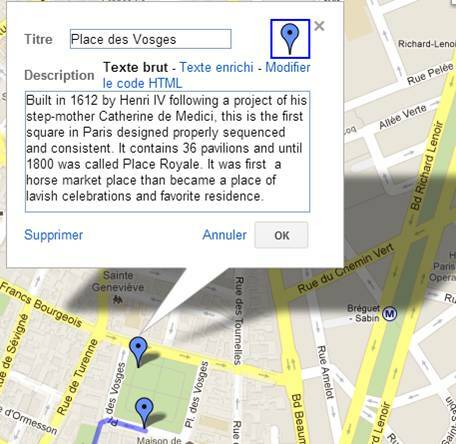 And at the we compared our results with an ancient map of the Marais.